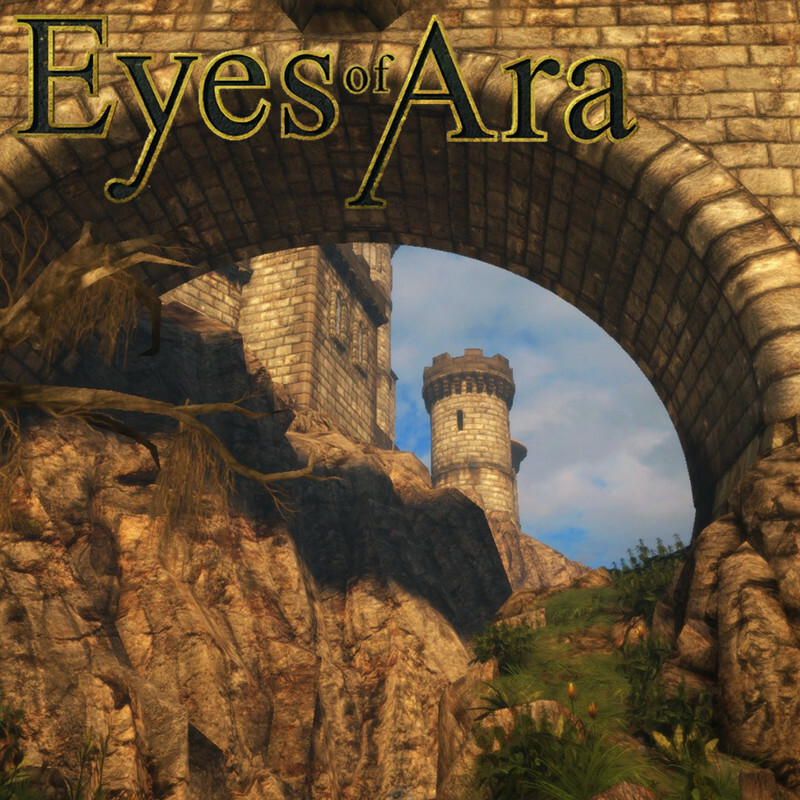 The Eyes of Ara by 100 Stones Interactive is one of those modern point & clicks who can’t decide whether to be in 2D or 3D, so it does both. I would have preferred it to be either a pure 2D adventure or a full 3D experience, but it is typical of the genre, so those who are into it will like this one too: the environments are pretty, the puzzles are challenging, and the story, while not overly exciting or particularly deep/engaging, at least made me want to find out what’s going on. The puzzles started out as keyhunts combined with pixelhunts, or, more positively put, one of those treasure hunts your parents might have arranged when you were a kid — with the difference that this one takes place in a large castle full of hidden rooms and secret passages (which I would have loved to explore in 3D or in real life). If there is such a thing as too much agency, this might be it, because there are a lot of buttons to push and contraptions to activate. The UI got a little in the way at first, but I got used to it after a while¹. What’s bothering me the most² with this particular brand of point and clicks, in regards to the UI, is that it feels like they haven’t added a good thing to a 2D experience (i.e. the ability to freely look around), but rather removed a good thing from a 3D experience (i.e. the ability to freely move around). Something I’ve come to appreciate in other puzzle games, which are in full 3D, is the ability to freeze the view, allowing me to focus on a puzzle area, and I think that emulates well how things work in 2D or 2.5D point & clicks when encountering a puzzle. Things got a lot better once I got used to the interface². The puzzles also picked up and got more varied (adding more logic-based ones), so what started out a little dull turned into something I could enjoy a lot more. Liking puzzles for their own sake is a requirement, because that is the main reward (sometimes you get more story, but I wish that could have been done more often, adding more information about the characters): it’s like you solve one and immediately get five more. I got stuck from time to time, but that is part of the genre and often remedied by taking a break and returning to it later. Most puzzles are still a matter of having a keen eye for detail and hints can be found anywhere, so keeping notes helps (or else you will get utterly stuck, unless you are good at memorizing lots of details). The puzzles are often of a type that contains the solution, so you can figure it out by just looking at the puzzle³. This is not a puzzle game I play for hours on end (like I did with The Witness), but in short bursts. The hints are pretty vague at times and one puzzle in particular (namely the planets puzzle) really got on my nerves, because it was tedious (even with a walkthrough), but that’s also what I like about these games. The environments, a huge castle with lots of rooms to visit, are well put together, so no complaints there — except that all these exciting locations made me wish I could have explored more freely (this is a puzzle game, though, so I can see how free exploration isn’t a priority (I’m a fan of exploration, so I would probably wish for that in any 3D-like game…)). The story wasn’t anything too impressive and felt a little tired, because I’ve seen it done a lot lately. That doesn’t stop me from recommending this game, though: if you like solving puzzles and don’t mind the thought of maybe getting stuck at times, I think you’ll have a great time. ¹The weird thing is that while I do remember the UI feeling really awkward the first time I played this, now that I try it again, it doesn’t feel awkward at all and I can’t figure out why it ever did. I think it had to do with how the world moved instead of the view, but only in one direction; in the other direction it was the opposite, which I imagine must have been pretty confusing, but now that I look in the settings, one can set both directions individually, which solves the problem entirely (either my brain got rewired or the game got updated since I last played). ²This comment mostly sprang out of once being frustrated with the UI, but since that problem got solved¹, it doesn’t matter that much anymore. ³A few puzzles were made a lot easier by how they lent themselves to being converted into a system of mathematical equations, which when solved gave me a set of exact instructions on how to get to the solution state. This was maybe not the intended method, but it made my day to be able to use algebra in such a situation. Posted in Indie, Review.Tagged 2.5D, 2D, 3D, point & click, puzzles.